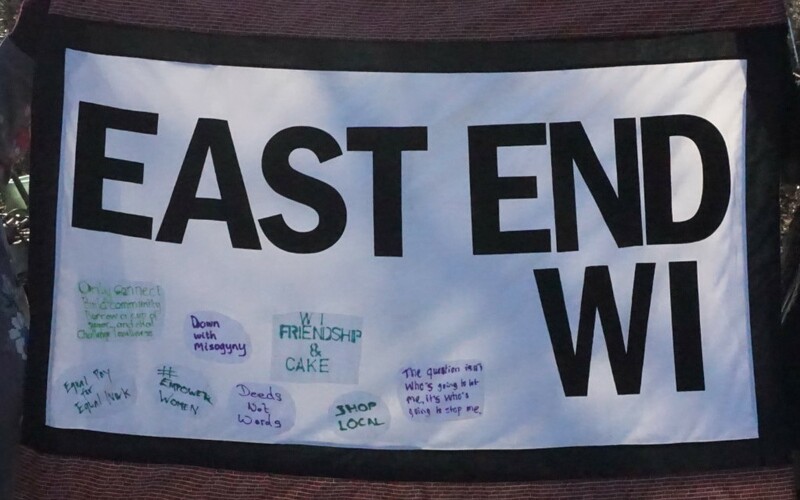 East End WI: the EEWI christmas market! 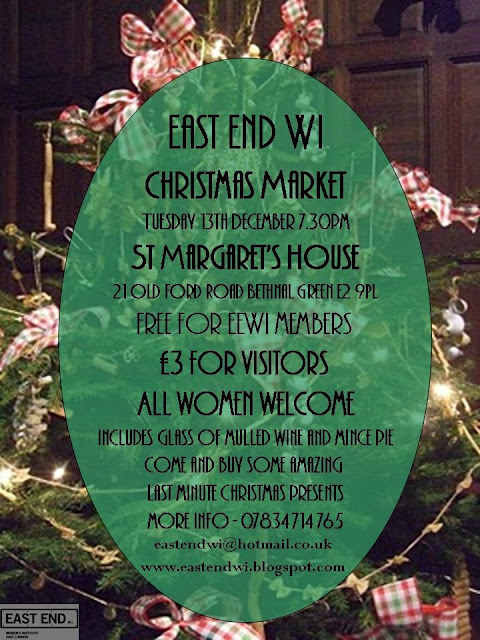 Yes, ladies, it's nearly time for our fabulous Christmas Market. Our December meeting is this year is going to be big and buzzy with lots of lovely stalls from a host of local designer makers as well as our own talented members, some mulled wine and a mince pie. We've got a little Christmas crafting lined up because we want you to help decorate the tree that we'll be entering into the Community Christmas tree festival on 17th December - any sparkly scraps or trinkets that you have for the baubles we'll be making most gratefully received. And we will be joined by our friends from U-Turn again this year, so please try to bring along a small wrapped gift for the women helped by U-Turn. Entry to the event is free to members, £3 for visitors. This is our last evening meeting of the year (where did the time go?) but we will be meeting for a visit to the lovely Geffrye Museum for coffee at 10.30am on Friday 16th December and a walk through Christmases past. The museum opens at 10am if you want to look round before rather than after coffee. It is easy to get to by public transport, but please remember that if you are using your own car, you will be charged for parking in Hackney. We're looking forward to seeing you all next week.